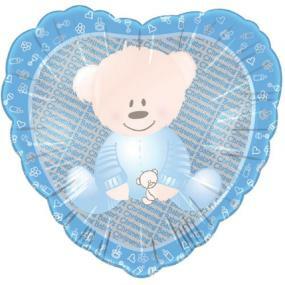 Heart shaped bear design foil balloon for Christenings. 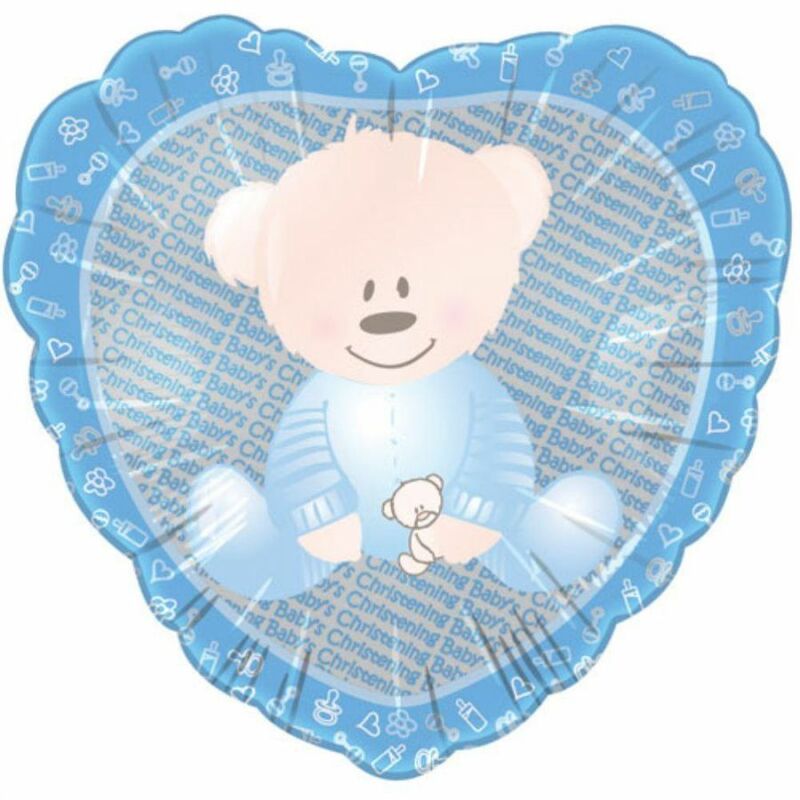 The balloon has a printed bear and the words 'Baby's Christening' printed on it. This balloon requires helium to inflate it and has a valve to prevent bursts. The balloon measures 18" across.